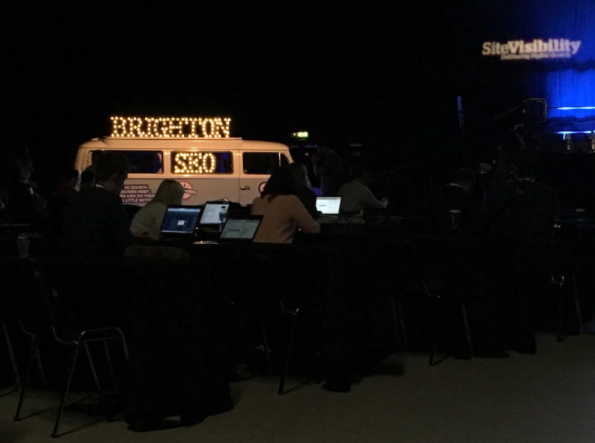 Two of the SGM Giants headed down to Brighton on 7th April for one of the most popular search conferences in the country, BrightonSEO. They got to see some of the best search marketers from both the UK and around the globe impart their digital marketing wisdom. With a packed agenda, SGM saw speakers from the likes of Vistaprint, Searchmetrics, University of Cambridge, and Screaming Frog discuss everything from AI & Machine Learning to Video & VR. 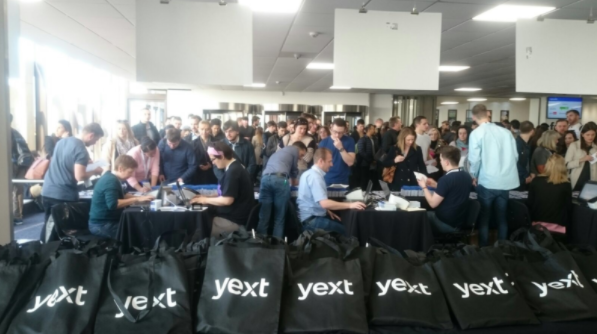 This year’s Brighton SEO was bigger and better than ever, and a great opportunity to learn about big things that are currently on the digital marketing horizon. So, what were our top takeaways? Robyn: As a member of our Digital Creative team, itâ’s always insightful to get a good technological grasp of SEO techniques that can leverage and complement our creative client pursuits. I found Marcus Tober from Searchmetrics talk on Why SEO and Content Marketing must be data driven extremely fascinating – particularly the fact that 80% of product content is wasted and pollutes the internet! Time for a clear up. Greg: My key takeaway would be the use of Microsoft HoloLens in searches. This is a really cool feature that Microsoft/Bing are working on. Microsoft have been working with U.S. kitchen fitters Lowe’s to make hologram kits so that when you want to envision how your new kitchen will look, you walk around your kitchen space to see how the design will look. Having just bought a kitchen, I would have LOVED to have that feature!